Ford Motor Company has launched start of production (SOP) for the first time in the US of the all-new 2016 F-650/F-750 medium-duty trucks. Previously, production of the trucks at the Ohio Assembly Plant in Avon Lake, Cleveland, took place in Mexico. Ford says it helps secure more than 1,000 hourly UAW jobs and a $168 million plant investment in the US. Ford says also its 2016 F-650/F-750 trucks anchor the company’s commercial vehicle line-up – America’s best-selling commercial trucks for 30 straight years. 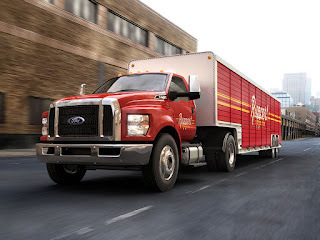 Ford claims to be the only truck manufacturer that provides vocational customers an unmatched one-stop shop to meet their needs – from the Class 1 Transit Connect cargo van to the Class 7 F-750 tractor rig. Ford is understood to be in negotiations with the UAW for a new national contract affecting about 52,300 workers. Just before those talks began last month, Ford announced it would move production of Focus and C-Max from a plant in Wayne, Michigan. Ford has not confirmed UAW suggestions that the production could be shifted to Mexico. Ford claims also it is the only medium-duty truck manufacturer that designs and builds its own diesel engine and transmission combination – ensuring the powertrain will work seamlessly with all chassis components and vehicle calibrations. Along with its 6.7-litre Power Stroke V8 diesel engine with its compacted graphite iron (CGI) vee engine block and built at the Chihuahua Engine Plant, Mexico, Ford remains the only automaker to offer a gasoline-powered engine in the medium-duty truck segment. The 6.8-litre V10 with 320 bhp and 460 lbft torque now will be available for both F-650 and F-750 models with the heavy-duty TorqShift six-speed automatic transmission. The 6.8-liter can be factory-prepped for converting to compressed natural gas or liquid propane gas as cost-effective alternatives to gasoline. In 2014, Ford announced a $168 million investment to shift production of F-650 (below) and F-750 from Mexico to Ohio Assembly Plant, in addition to adding new body shop equipment and other tooling needed to produce the medium-duty vehicles. The production shift from Mexico is part of the collective bargaining agreement Ford and the United Auto Workers (UAW) negotiated in 2011. The trucks are often sold as cab-and-chassis skeletons and customised by purchasers to serve a wide range of uses from beverage delivery to ambulances to oilfield services. The 2016 model year trucks go on sale later this summer, a few months later than Ford first announced the shift of production to Ohio in March 2014. Mike Levine, Ford truck spokesman. 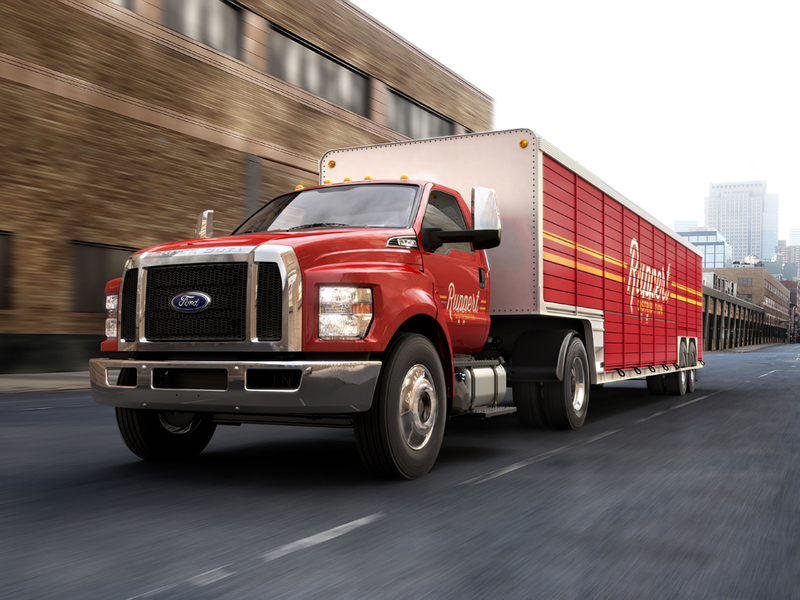 Claims every F-650 or F-750 truck sold to a fleet buyer, yields another six Ford trucks also sold to the same customer. Levine added that in 2014 Ford sold 9,627 F-650 and F-750 models, an 11 per cent increase over the previous year. The truck prices range from $56,705 for a gasoline-powered regular cab F-650 to $76,690 for a diesel-powered tractor crew cab. Opened in 1974, Ohio Assembly Plant employs nearly 1,400 people and is one of the largest employers in Lorain County. In addition to now producing all Ford F-650 and F-750 models and configurations, the plant also produces Ford E-Series cutaway vans and stripped chassis.